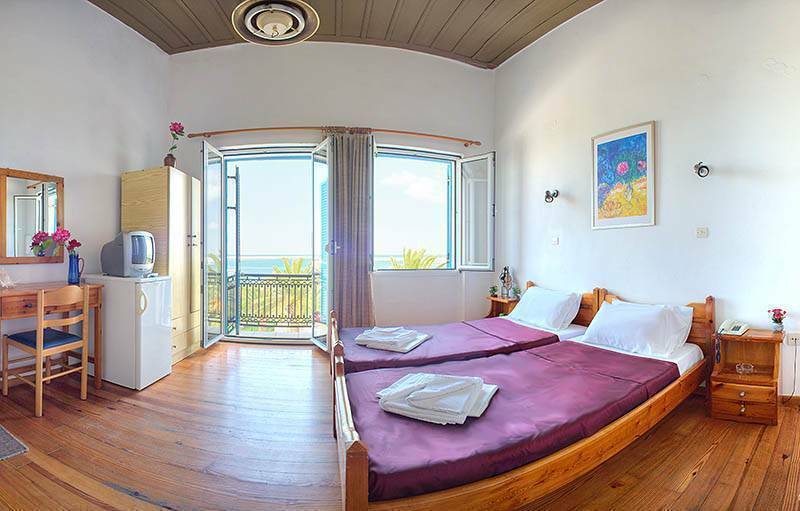 Our small family hotel has 10 rooms and 5 studios, which can accommodate from one up to four persons. 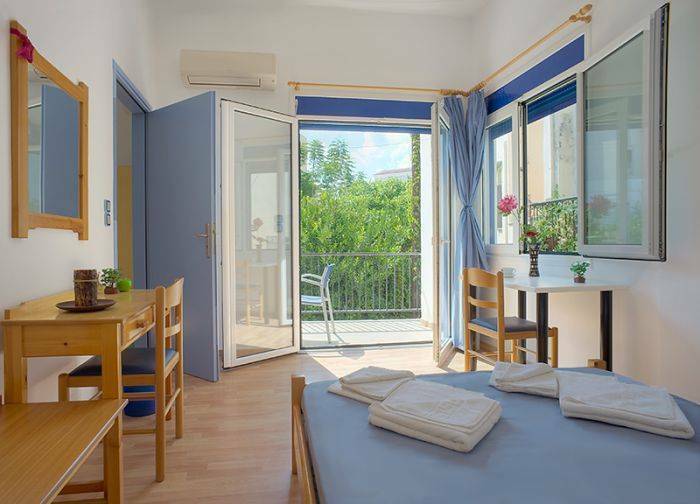 All rooms have bathroom, fridge, TV, free in-room high speed wired internet access and self regulated air-conditioning or heating. The studios have complete cooking facilities as well, but no Internet access. 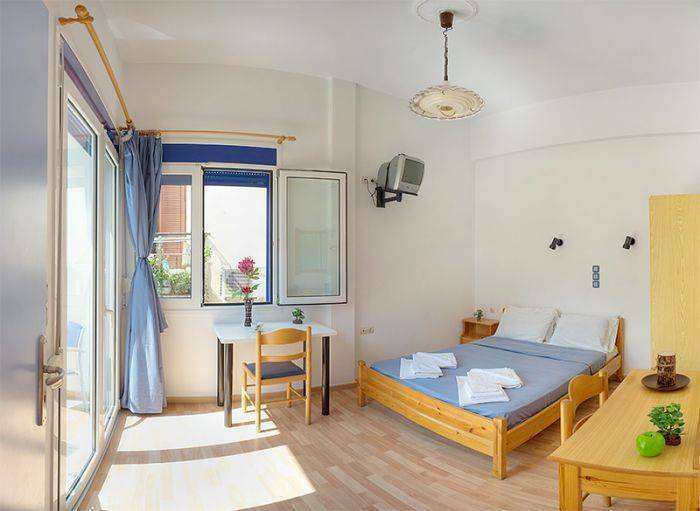 We are located in the center of the picturesque old town of Rethymno, the center of the life and the activities. Where the visitor would like to be, where everything is close: the wonderful sandy beach, the Venetian and Turkish monuments, the harbor, the Venetian port and castle, the shops, restaurants, cafes and the nightlife. 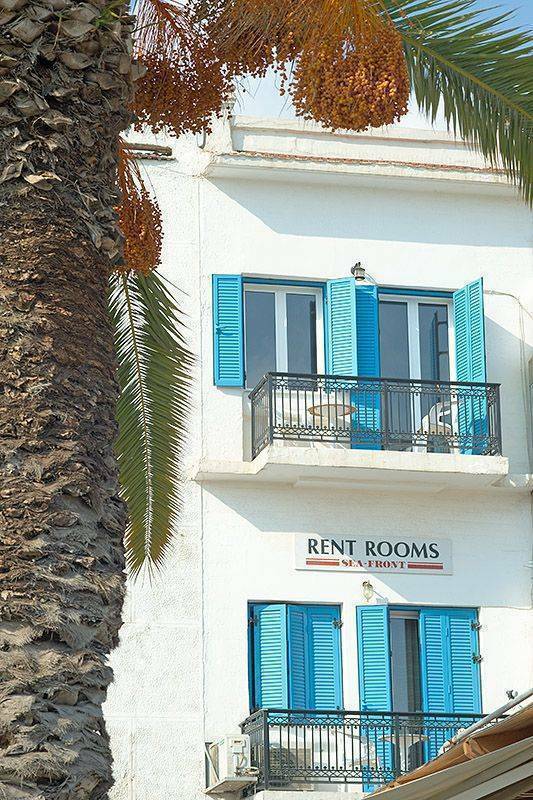 Rent Rooms The Sea-Front runs under the license of the Greek National Tourism Organization (G. N. T. O. ), officially classified as class A. Our hotel stays open all year round. The town of Rethymno is an ideal place to stay for someone who wants to visit the island of Crete. A lovely town, with a wonderful 11km long sandy beach, a very picturesque old town with Venetian and Turkish monuments, narrow streets with houses with stone arches, a picturesque Venetian port and an impressive Venetian castle. Rethymno offers many things to do and see and has an interesting nightlife. Rethymnon's location in about the center of Crete, makes it easy to visit every interesting sight of the island, by public bus, organised tour, or car. If you cancel your confirmed reservation 7 days prior the date of your arrival (1pm), there will be no charge at all. If you cancel your confirmed reservation from 7 days until 1 day before your arrival, you will be charged at a cost equivalent to the price of the first night, except for reservations for stay during the month of August, where the first night will be charged plus 25% of the cost of the rest of the nights of your reservation. If you cancel your confirmed reservation within 24 hours before your arrival, or if you do not cancel at all, you will be charged at a cost equivalent to the price of the first night, except for reservations for stay during the month of August, where the first night will be charged plus 50% of the cost of the rest of the nights of your reservation. If you arrive by bus, it is a 10min walk. Leaving the bus station, turn right towards the fortress. On the first corner turn right again. Walk until you meet a Roman gate, turn left and on the next corner turn right to reach the cathedral, keep going straight and on the corner turn left. You get to Arkadiou st. and we are at Nr. 159. If you arrive by car, it will be more convenient to come from the other entrance of our building, at 45, El. Venizelou st., the road by the sea in the old town.